Imagine you’re in the future. You are in your garage, listening to some heavy metal while fixing up your jeep when all of the sudden, you accidentally rip the handle off the door. You try to reattach the handle, but the plastic on the handle itself is broken. You just have to get a new handle. But going to an auto part store and finding the right handle is tedious and often expensive. So you gather the blueprint of the handle from the owner’s manual and print out a new handle right then and there. Sound easy? It is. And you can do this right now. Additive printing, or more commonly called 3D printing, is a new manufacturing process that allows users to print out solid 3D objects from digital files. Using additive process, successive layers are laid down until the object is created. The most common 3D printers use either Selective Laser Sintering (SLS) or Fused Filament Fabrication (FFF) to create different objects by melting or softening material to make different layers. SLS uses a laser to harden and bond materials together to create the 3D object. 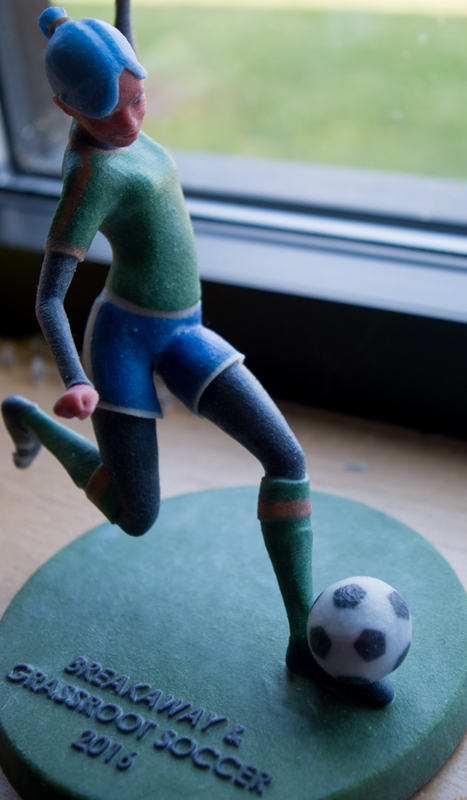 FFF, however, creates objects layer-by-layer using heat to extrude thermoplastic filament. Both of these techniques are slow, as many objects printed take hours to complete, but for personal or small business use, these printers are a cost-effective option. At the Champlain College MakerLab, we have three 3D printers for Champlain affiliates to use. Students, staff, faculty and alumni can print out sculptures and models that they’ve designed at home, even in different colors. 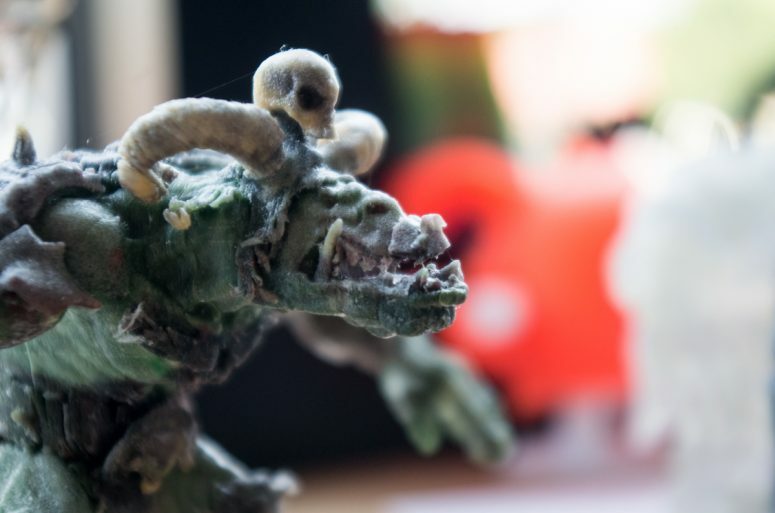 According to Tyler, most of the students at Champlain College print out models of video game characters, given that two of the largest majors at the college are Game Programming and Game Art and Animation. The printers help a lot of students in this area because many have not had experience building things with their own hands. “We’ve definitely had some internal projects that were made possible due to the 3D printer,”said Tyler. Some students have also printed out various small parts, such as hinges, for their own projects. These parts are used to make various projects such as boxes, electronic devices, and even robotic arms. The MakerLab techs last year used one of the 3D printers to print out an essential part for the MakerBot 3D printer that they couldn’t have easily acquired or made another way. And because two of the printers use Acrylonitrile-Butadiene Styrene (ABS) and PolyLactic Acid (PLA) plastic for the modeling, these parts are as durable as many of the parts made in mass production while also being more affordable, according to MakerLab techs. Another technique that 3D printers use to manufacture different layers is Stereolithography (SLA). SLA cures a photo-reactive resin with a UV laser or another power source one layer at a time. This process was created in 1983 by Chuck Hull and is one of the more common techniques used for manufacturing with 3D printers. Hull’s system is more commonly used in large scale production with many companies such as Adidas and GE investing millions into the technology to create a wide array of products ranging from sneaker soles to jet engine parts. Besides large-scale production, 3D printing is also being used to improve and save lives. Hearing aids, orthopedic implants, cranial implants, tooth crowns and even surgical instruments are being created by 3D printers. 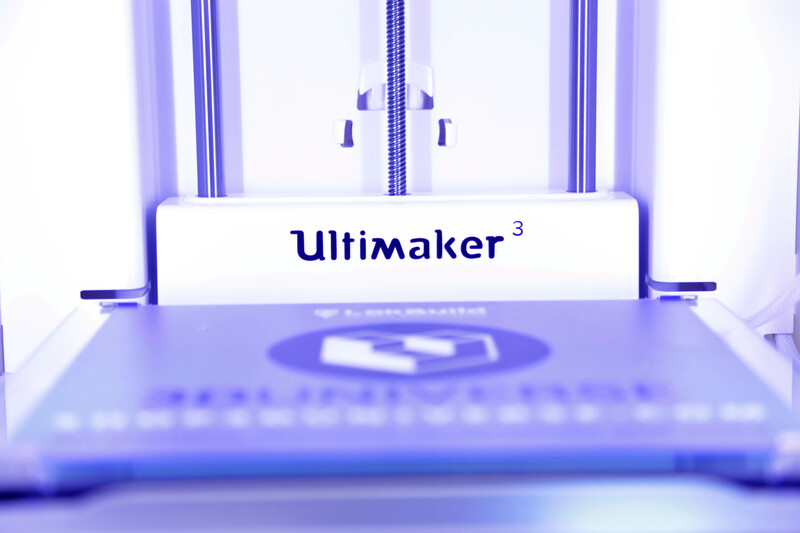 Ultimaker is one of the leading manufacturers of various medical implants and is a large contributor to the medical uses of 3D printing. 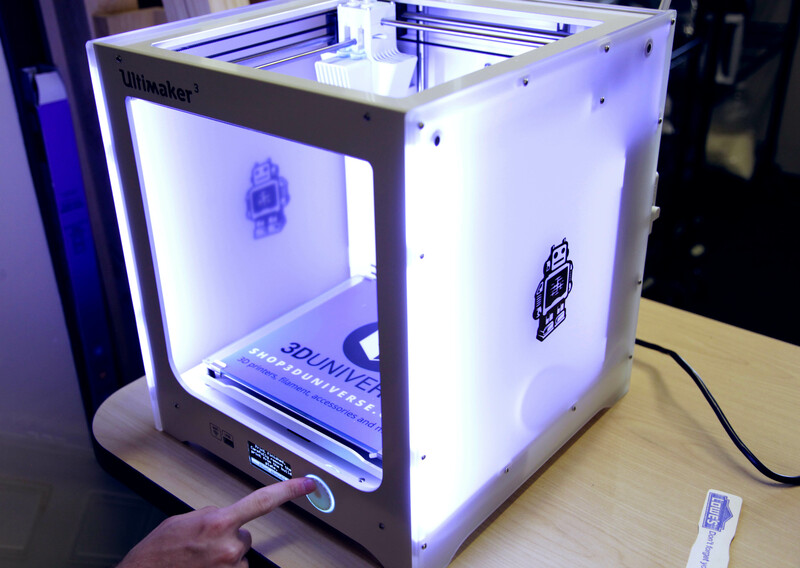 Paul Croft, the director of Ultimaker UK, believes that 3D printing is greatly increasing medical advances. In an interview with NewsMedical, Croft said that 3D printing is the future of medicine. There are so many uses for 3D printing: now and in the future. Whether it’s in manufacturing or bioengineering, 3D printing is revolutionizing how we create objects and solve problems. For more information on 3D printing in manufacturing, check out the link below. For more information on the medical advances of 3D printing or just the entirety of the interview with Paul Croft, check out the link below. This entry was posted in EMC Studio, In the EMC, Innovate, MakerLab on August 4, 2017 by Sarah Jerger.